Standing at 19340 ft (5895m), Mt Kilimanjaro is not only the highest mountain in Africa, but also the highest freestanding mountain in the world and the highest summit that can be climbed without technical equipment or technical skills. This makes the mountain especially appealing to the average person who wants an adventure challenge. There are several routes used to climb the mountain. National park regulations require all climbers going through a registered tour company and to be accompanies by a certified mountain guide and porters. Along the Marangu Route, climbers spend overnights in simple but comfortable dormitory style huts that are solar powered. Along this route, it is possible to buy soda and beer at the huts. All other routes are camping routes. A climb requires at least 5 days (Marangu Route). Adding an acclimatization day greatly increases the chance of a successful summit. The biggest challenge in climbing the mountain is the decrease in oxygen at the higher altitudes. Acute Mountain Sickness (AMS) can affect some people more than others. Even some of the most fit athletes have failed in their climb attempt due to AMS. Kilimanjaro Viking guides have all undergone extensive and continual training in recognising the symptoms and taking precautions to minimize the issue. To learn more, visit our Packing & Safety page. During the course of a few days, you will pass through an array of environmental zones, from tropical rain-forest to near arctic conditions. This makes packing efficiently a necessity. Please refer to our Packing & Safety page for a detailed packing list. Most items on the list can be rented in Moshi if you prefer. When you arrive for a climb, it is advisable to arrive at least one full day early for your body to recover from the flight. This extra day is also important in case your luggage is delayed along the way. A Mt Kilimanjaro climb required a great deal of energy, that means that having the right food during the climb is especially important. At higher altitudes, climbers often experience nausea and loss of appetite. Our cooks are well experienced in preparing nutritious, appealing meals which are easily digested during your trek. With advance notice we can cater to special diets. 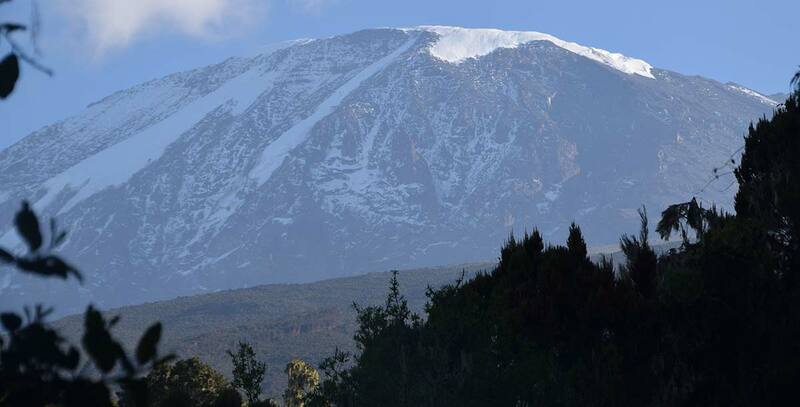 Feel free to contact us for any further information about climbing Mt Kilimanjaro that you may require.